The Essential Phone PH-1 (first impressions), which didn’t really fare well, was recently discontinued by the brand. 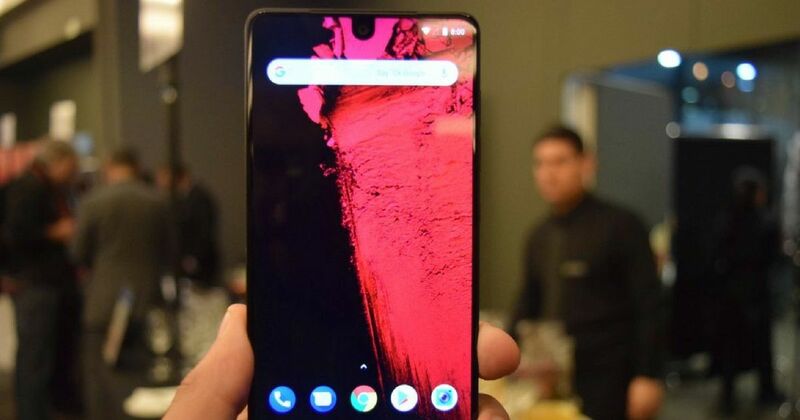 Speculations were rife that the first generation smartphone has been discontinued to pave way for the successor called Essential Phone PH-2. Now, new reports have surfaced revealing details about the display and design of the smartphone. For the uninitiated, the Essential Phone PH-1 was the first smartphone to start the trend of display notches with what’s now known as the waterdrop notch. In the same fashion, it seems that the Essential Phone PH-2 is likely to start a whole new trend of full-screen fascia. First spotted by SlashGear, a set of drawings have emerged suggesting a transparent display, that would help the phone have an all screen front without any notches or moving parts. According to the patent design, the Essential Phone PH-2 will have at least one camera and sensor under the display. The report suggests that the phone will have an OLED panel and become semitransparent on command when selfie camera is opened. The second set of drawings for the same phone reveals that the upcoming handset will have an under-display fingerprint scanner as well. This also reinforces the belief that the upcoming smartphone might come with OLED panel, since under-display biometrics works the best with the same. Notably, the name PH-2 was earlier spotted in a document of a US smartphone carrier. Unfortunately, no other details are known about the upcoming smartphone. Except, just like its predecessor, the Essential Phone PH-2 might come with a near stock latest Android, Pie in this case. There is no word regarding the launch timeline of the smartphone either. We will bring you more updates as and when they become available, so stay tuned.